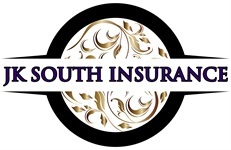 Auto Insurance with JK South Insurance Inc. | JK South Insurance Inc.
Auto Insurance with JK South Insurance Inc. In Florida, you are required to purchase auto insurance coverage for any vehicle or motorcycle. What that means is to register a vehicle in the state, you will be required to produce proof of insurance to show that you meet the minimum liability requirements. Florida has some of the highest auto insurance rates in the country, but this is not something to cause worry. There are numerous auto insurance providers with favorable rates, and a good example is JK South Insurance Inc.
Property damage liability (PDL) coverage. PDL covers the damage that you or any other persons included in the policy may cause to third party property while driving your car. Personal injury protection (PIP). PIP covers the driver and any other persons riding in the car at the time of an accident that results in injuries. Failure to have the above auto insurance requirements will attract penalties. Additionally, it’s hazardous to drive without insurance anywhere in the country. What if you cause an accident and since you don’t have car insurance, you have to pay for it yourself? Such an incident can easily lead an individual to financial devastation. Other types of auto insurance include bodily injury liability, comprehensive, collision coverage, and uninsured/underinsured motorist protection. You can find all these and more, depending on your needs, at JK South Insurance Inc. If you are looking for car insurance in Florida, give us a call or visit our offices and speak directly to an agent. For quotes on auto insurance from home, try our online rating tool. It is against the law to drive without some car insurance, and it must be enough to cover minimum property damage liability and personal injury protection. You need to be protected and be prepared in case you are involved in an accident. Although, insurance works differently with alternative auto insurance. A classic car may have to meet specific requirements but will be guaranteed to be supplied with replacement parts and insured on an agreed upon value since a classic vehicle does not depreciate typically. Our agents can help you determine if your car meets these qualifications. RV insurance guarantees that not only your vehicle will be protected, but the contents inside and the guests you may have riding along with you. It is important to have extra liability insurance since an RV can be used for many things such as vacationing and can provide a living situation for some. Motorcycle insurance is important because riders are more likely to be injured in an accident. This type of insurance works almost the same as standard auto insurance. Ask our agents for the definition of a motorcycle in case you are confused if your vehicle is in this category.